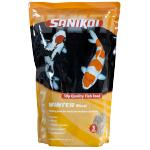 You naturally want the best for your koi. 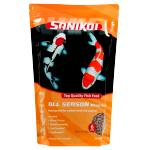 Only the best feed is good enough. 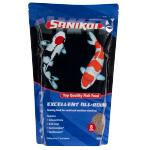 With SaniKoi you are assured of absolute top quality. 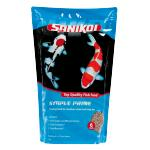 Feed with a rich composition and unique extras because all SaniKoi food products contain SaniComplex, which includes chicory ingredients that are extremely beneficial for the digestion and the well-being of the koi. They also contain SaniBooster, a vitamin complex that enormously enhances the immune system of your fish.